It’s an artistic stereotype that creative people are “disorganized.” Anyone who’s spent time around successful artists will probably notice that they are anything but. Unconventionally organized, perhaps, but most creatively productive folks have some sort of system to help them stay on top of their art-making, the business side of their vocation, and their family and social commitments. If you are casting about for an organizing framework, one of the bigger names in systematizing these days is the Getting Things Done (GTD) system, developed by David Allen. Allen created GTD while piloting a productivity seminar for a thousand managers at Lockheed in 1983. His system has grown into an information empire, and adherents consider it a powerful method to manage commitments, information, and communication. The heart of Allen’s system is the concept that lists of all the things that need to get done must be put into a logical and trusted system outside of one’s head. The key, once that’s been accomplished, is to have the discipline to make decisions about all the “inputs” in one’s life, so there will always be a plan for the next actions to take, although those plans can be renegotiated at any time. 1. Collect all inputs—especially those hanging out inside your head. Get them on paper or in the computer!! What does GTD offer artists and creative people? “In my experience, GTD can work really well for almost anyone who primarily has to manage themselves. “So many careers — whether consulting, programming, sales, writing, or even art and music — are basically a black box to the people who are paying the tab. They hire you for your skills and then understandably expect you to take care of all the sausage-making that makes the magic happen. … Ditto in spades for freelancers and the self-employed. Having a theoretically unlimited amount of time to do a theoretically unlimited number of projects is fun for about ten minutes, and then you basically feel like your staring into an abyss. A visual artist who’s found GTD to be useful is Aisling D’Art, who struggles with Allen’s book but finds following the system makes her to-do lists, well, doable. Any system that encourages “getting it out of your head” has done at least one thing right. Our brains can only hold a limited amount in our working memory and ideas and creative inspirations are competing with your grocery list, your e-mail inbox and your phone messages list. Finding an appropriate holder for information as it comes at you is crucial to actually finding it when you want to act on it. GTD forces you to step back and evaluate inputs, rather than reacting solely on an input’s perceived “urgency.” We’ve all heard the advice, “Never let the urgent crowd out the important,” but it’s difficult to practice this in real time. GTD’s middle three steps force one to figure out the proper response to the input and if immediate (or eventual) action is really the best option. Flexibility of response is built-in. GTD goes beyond just making a to-do list, or several to-do lists. The review phase just before the “do” phase allows one to consider several options, and doesn’t make ACTING the be-all and end-all. This focus allows one to take the right action, rather than seeing acting as right under all circumstances. “I haven’t got it in me to prioritize anymore. I don’t want to get things done. I just want a long, uninterrupted think, and maybe a cigarette (even though I don’t smoke). I’ll keep to my scatterbrained ways and think about the flock of robins that landed in my front yard and wonder just what the hell they were all doing together. Official blog of Allen and the business he has built around the system. From Merlin Mann’s 43 Folders blog, which discusses the usefulness of various productivity techniques. From Leo Babauta’s Zen Habits blog. Leo is a writer who is a huge fan of GTD. A blog by (male) artist Joan M. Mas, with the tagline, “because getting organized should be attractive.” Illustrations and tips for using GTD. A Mashable.com list with lots of GTD-related apps you can download. 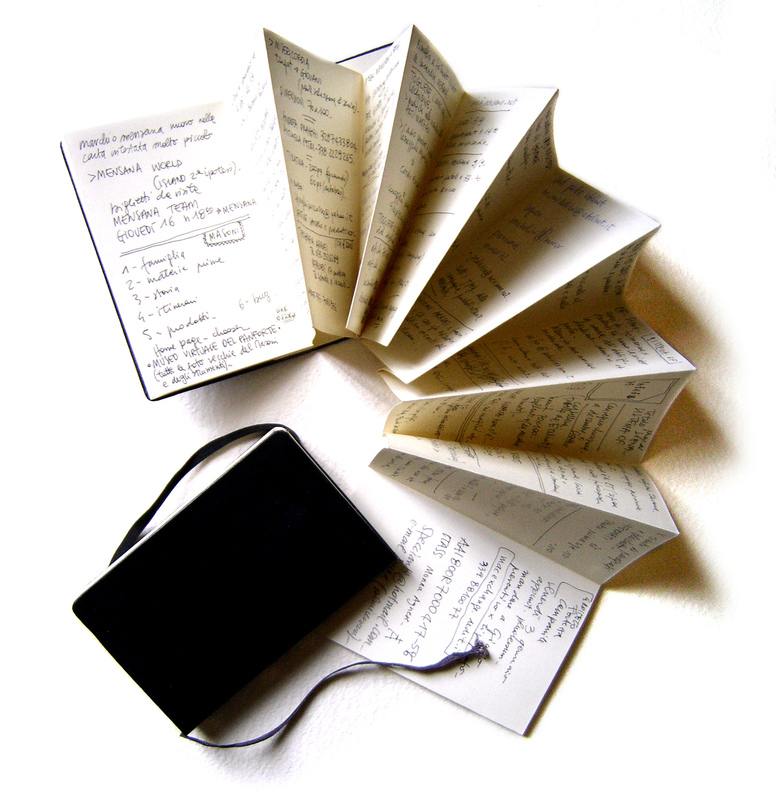 Do you use GTD or another formal system to organize your life? How does your organizational system impact your ability to make art and/or be creative when you want to be?